The Now has recently become one of most popular hotels in Pattaya. This is because the hotel just opened a few years ago, and the design of the hotel is unique since it is decorated with material-used style, just like under-construction hotel. 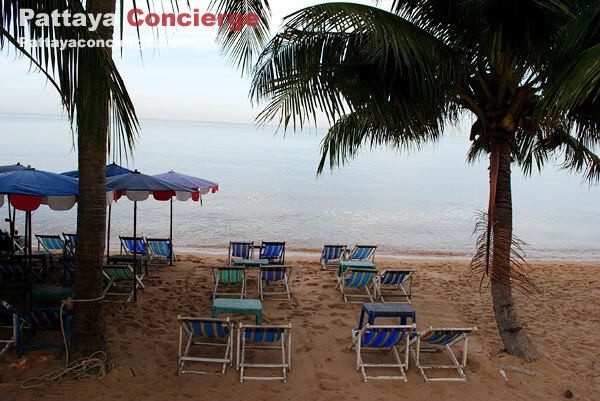 Besides, in front of this hotel is Jomtien Beach, so when staying in this hotel, visitors can walk just a little to enjoy sea-breeze and sea water. 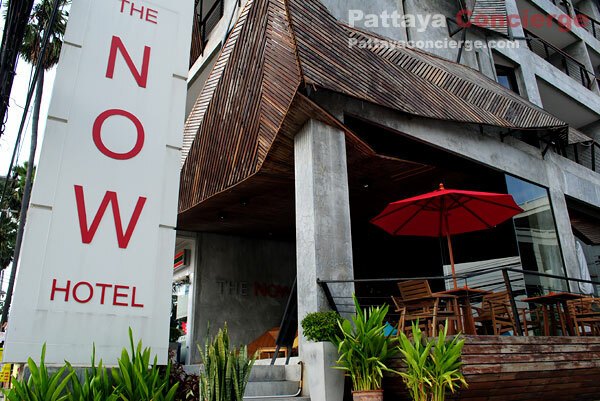 Perhaps, a fascinating point for visitors to stay here is that The Now Hotel can be seen as a romantic accommodation in Pattaya because the rooms decorated seems to suit a couple. Another good point is it is not difficult to find since it is situated just next to Jomtien Beach Road. There are five room types for this hotel – XS, S, M, L and XL, where XS is the smallest one and XL is the largest one, just like size of clothes. For XS and S type, they are decorated in a neat style. 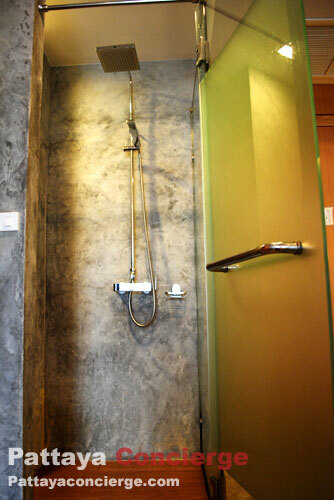 The M room type, however, is not too small, not too large; it is actually the most popular choice for a couple. Its design is identical by placing a bathtub next to the headboard. In the case of L and XL types, there are more facilities. Note that the XL room is set to face towards the sea. Since The M Room type is the most popular, it is chosen for this review. 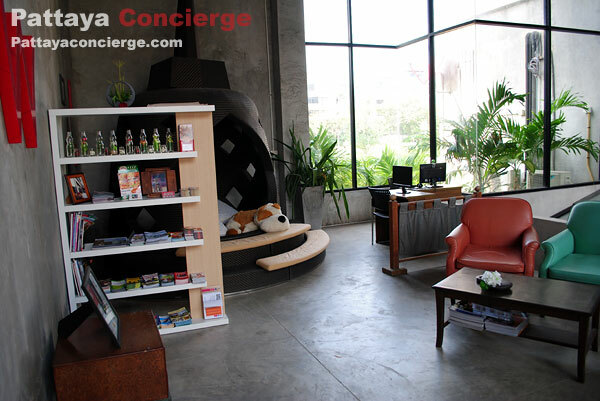 The room is provided with enough comfortable area to walk around. 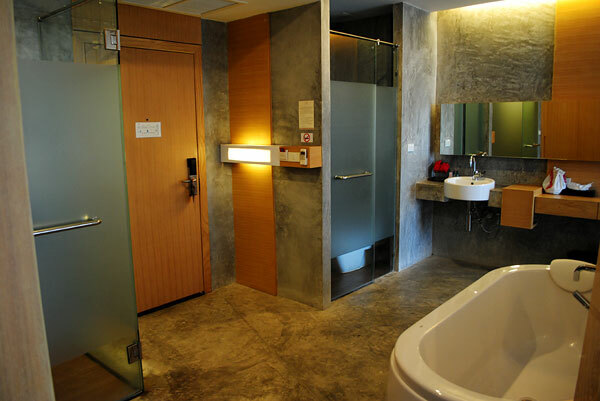 Its design is cool and beautiful; bath room and toilet are separated on each side of the room, where its clouded-mirror wall is a little see through cover. The bathtub is placed almost in the center of room. At night the room becomes more attractive because of lights decorated. Hotel also offers free WiFi , where its signal is pretty strong. To use this free WiFi, visitors can just take a password at the reception. There are also full facilities in the room – TV, refrigerator, free 2 bottles of water, DVD player, hairdryer, hot-water dispenser, slippers and towers for going to the beach, bathing gowns. 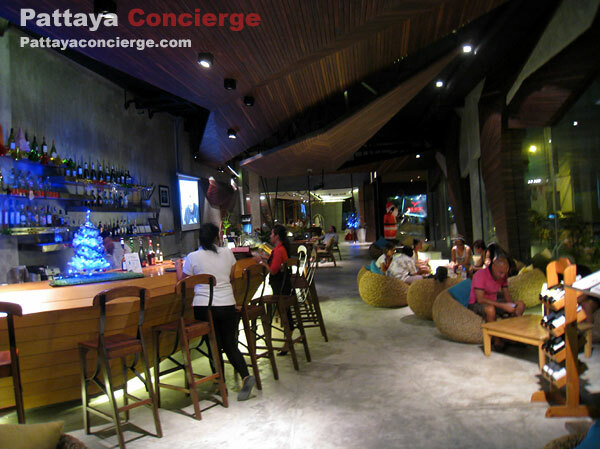 The front area of this hotel is a cute bar, and next to it is a relaxing corner, which visitors can read newspaper and use the internet. Though, there is a charge for using the internet here. Beside this relaxing corner is the lobby. There is also the restaurant providing international buffet in this area. Though, the food are just fine because there are not many choices to select. Almost forget to tell you that a convenient store (7/11) is just next to the hotel, so it is really convenient to have some snacks. 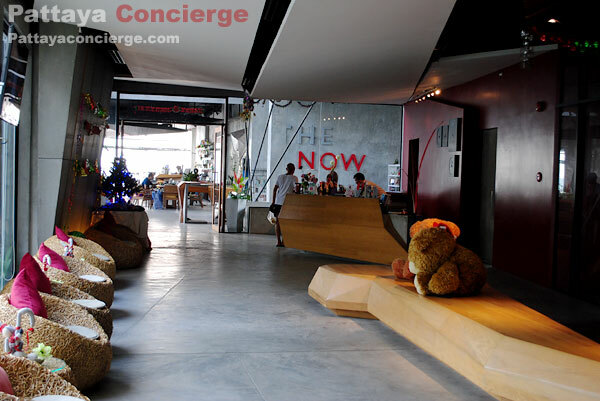 - Reasons: interesting design, especially the M room type, and located next to the beach. However, there is no swimming pool (perhaps, go swimming at the beach) and breakfast seems to be too expensive for this kind of buffet. 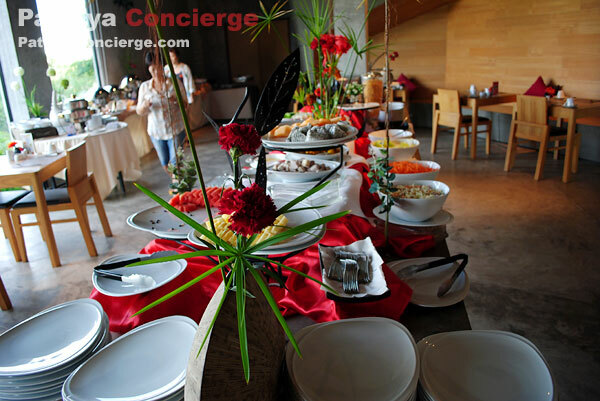 - Additional Info: Recommendation: book an excluded breakfast room would become more money for value.